Chris Mullin was a member of the British House of Commons for Sunderland South from 1987 to 2010. He studied law at the University of Hull and trained as a journalist. He wrote Error of Judgement – the truth about the Birmingham Bombings, which was later made into an acclaimed drama documentary by Granada Television and contributed hugely to the success of the campaign to free the Birmingham Six. Chris was a great supporter of the late Tony Benn and regularly gives public talks and lectures about a man he holds in the highest esteem. He has described Tony Benn as a “life enhancer, a man who fizzed with ideas, who constantly questioned why the world is as it is”. For 35 years he was a friend and colleague of Tony Benn’s and edited two of his books, Arguments for Democracy and Arguments for Socialism. Chris Mullin was often savagely attacked in the tabloid press but he continued to write, as an activist and being regularly the very first MP to be declared elected to Parliament in each general election. In 1982 he wrote the novel“A Very British Coup” which portrayed how a radical left-wing government was destabilised by the conservative forces in the United Kingdom. The television version of this book, which made a huge impact won BAFTA and Emmy Awards and has been shown in more than 30 countries. He has also written three volumes of his diaries, including “A View from the Foothills” in 2009 about his time in Government. 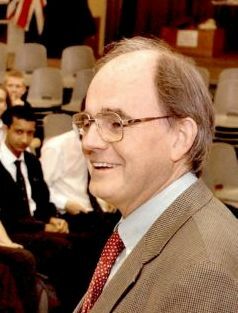 He served as a Parliamentary Under-Secretary in a number of government departments from 1999 to 2005 and was also Chairman of the Home Affairs Select Committee. He was the Africa minister in the Foreign Office and regarded his time in this office as thoroughly enjoyable. Chris Mullin has lead a very varied career which has embraced political activism, defender of human rights, advocate of social justice, a sharp observer of and commentator on political events and he has also found fame as a noteworthy and acclaimed author. In addition he spent 23 years in Parliament and eventually announced his retirement in 2010. He is very much regarded as an independent thinker, a man who like Mother Jones is utterly fearless in saying what he believes in and what he stands for. The Cork Mother Jones Committee is honoured to announce that Chris Mullin will speak at the 2015 Spirit of Mother Jones Festival which takes place in Shandon, Cork City from Wednesday 29th July until Saturday 1st August 2015.